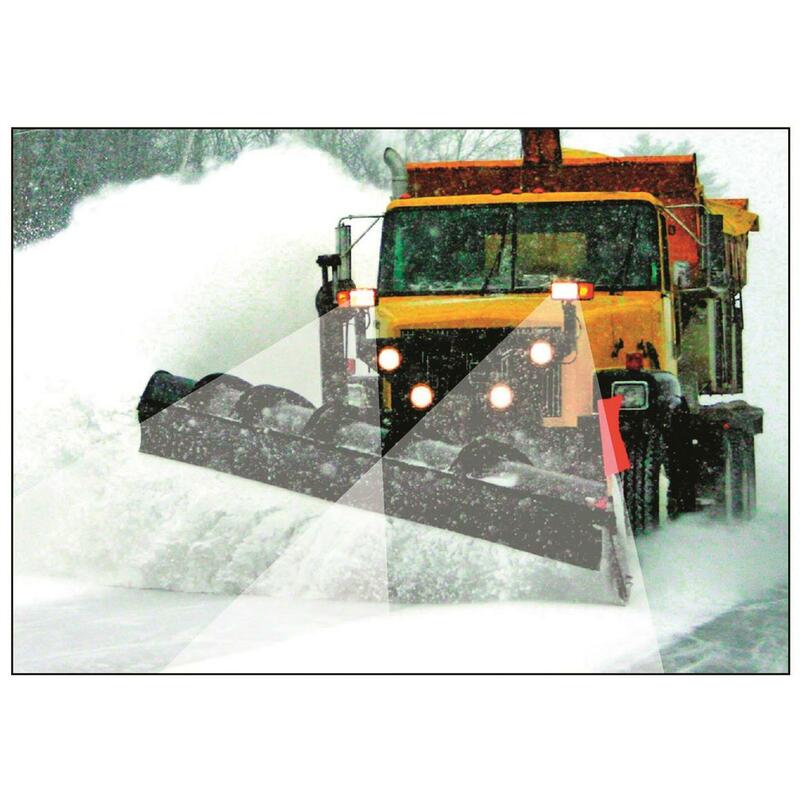 No one really wants to plow snow through the night, but with these heavy-duty 12-volt set of lights, you sure can. 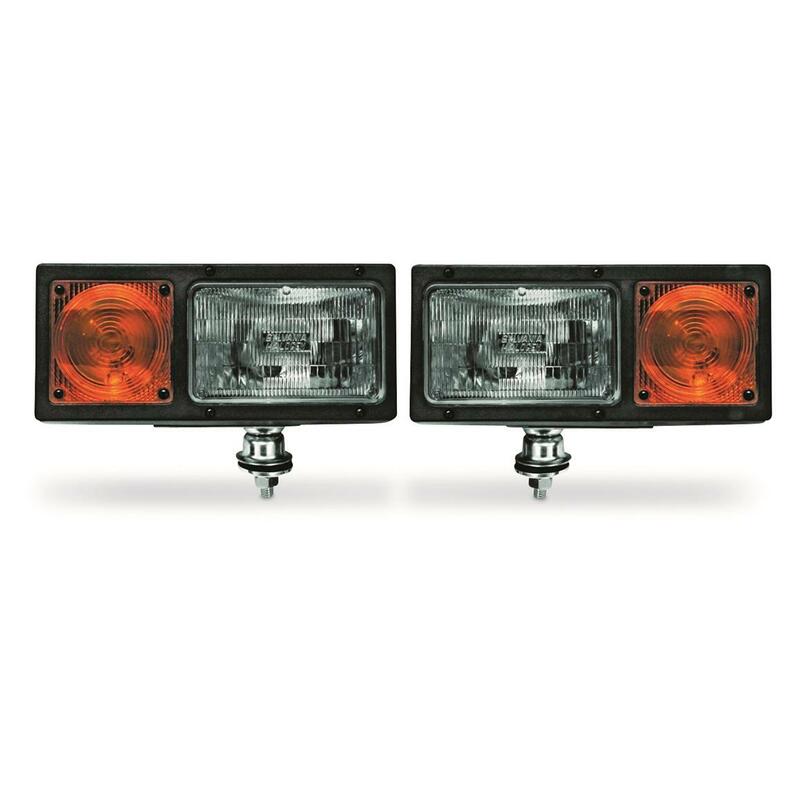 The low-profile halogen headlamps provide a dual beam that cuts through darkness for added safety and to extend your snow-plowing day. 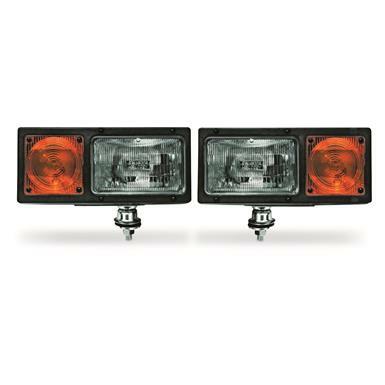 The set includes turn signals, and it mounts securely to your vehicle using a heavy-duty adjustable screw-post mount. And for long winters of plowing through the night, it's good to know the headlamps and turn signal bulbs are easily replaced. 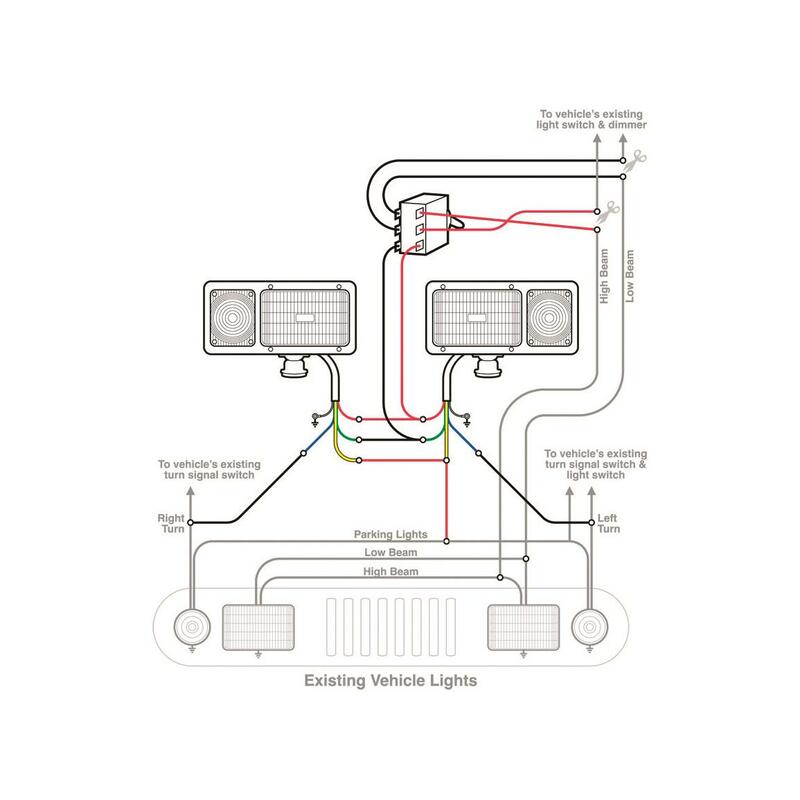 With this set, you get right and left assemblies, universal wiring harness, mounting hardware and instructions. Let it snow!